At Bushnell Park in Hartford, Czepiga Daly Pope & Perri’s Team Big Heart raised awareness and funds for Alzheimer’s care, support and research. 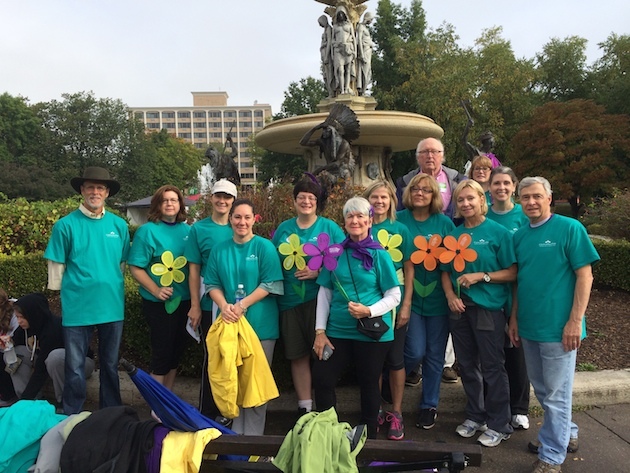 For the annual Walk to End Alzheimer’s event, the elder law, estate and special needs planning firm landed in the top 10 teams by raising $3,800 contributed by staff, friends and clients. In this photo, the law firm administrator Al Gatti (far right), who is also the board chairman for the CT Alzheimer’s Association, is joined by some of Czepiga Daly Pope & Perri staff and clients.